From the terrace, with its outdoor Viking grill, you will have the perfect place to enjoy the beautiful nights of Punta Mita. When you open the main door of this wonderfully designed 3 bedroom ocean view Villa, you will appreciate the beautiful indoor patio with water feature, look-through living room, spacious terrace, golf course, and ocean – in the blink of an eye. As soon as you have had the chance to do this, you will realize that there might not be a better place to spend your precious time than right here. The spectacular 3rd floor condominium is just newly-finished (November 2007) and is located directly on the beach, and includes breathtaking views of the Bay of Banderas (make sure you look for the whales). Over 3,600 square foot living space. 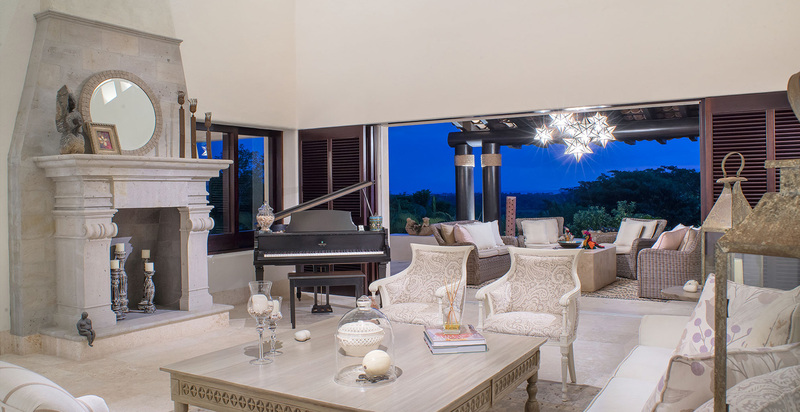 Furnished by the designer who decorated the Four Seasons Hotel at Punta Mita. The blue ocean and a white-sand beach await just outside Villa Tres Amores. 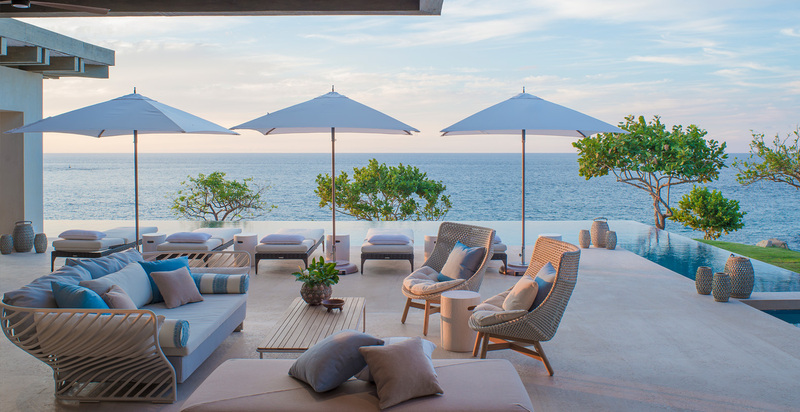 This oceanfront villa in Punta Mita’s Porta Fortuna offers panoramic views and an exclusive location next to the Sufi Restaurant and St. Regis Beach Club. Villa Vallarta enjoys a privileged location within the exclusive Punta Mita residential area of the Four Seasons Resort, Punta Mita. Set hillside, among lush gardens, the villa provides vivid ocean views out to the Marietas Islands and the Pacific Ocean. Guests enjoy access to resort services and amenities, including the Four Season's beach just a five minutes golf-cart ride away. Nestled into the hillside above the Four Seasons resort, this unique villa enjoys total privacy from everywhere. With the lush jungle on one side and amazing views of the Pacific Ocean, one will feel like they have left the real world behind. Our home is unique at the Four Seasons. 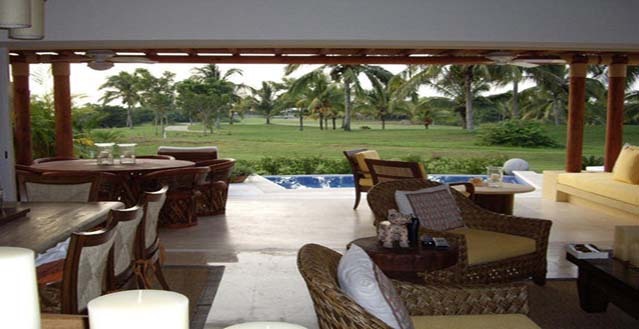 Villa Austral is one of the stunning Punta Mita vacation rentals that make up the Four Season’s Resort. 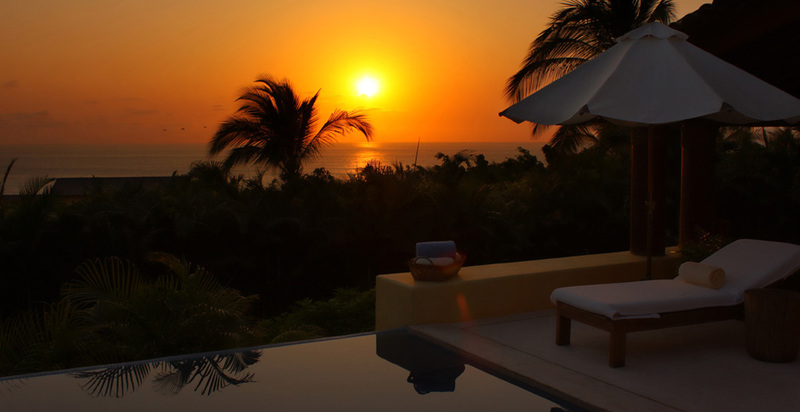 Built up on a hill, with unobstructed views across the ocean, this luxury villa is in one of the best vacation spots in Mexico. Villa Lunada sits right on top of El Faro, a high quality right point break reminiscent of Malibu, and is within walking distance of two other surf spots. The sweeping views from any and every part of the villa include the peninsula, the Jack Nicklaus golf course and the brilliant waters of the Pacific. Sparkling and stylishly majestic, the Penthouse corner unit #604 greets you with a dramatic start you must experience for yourself. Boasting Punta de Mita's highest point, this breath taking two-story, five bedroom condo features a marvelous panoramic mural view of sunlight, seascape and starry skies. This beautiful Villa offers Holiday rentals a breath of fresh air with its seafront view and 5 large bedrooms. 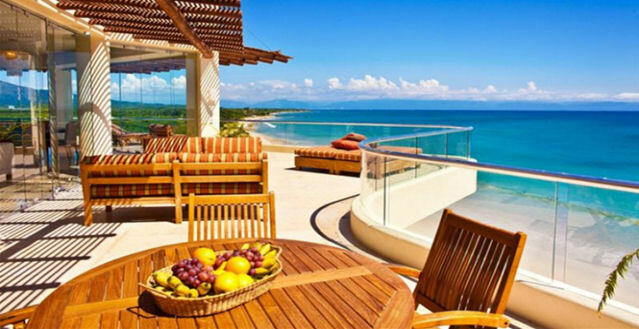 With its breathtaking views of the crystal clear blue waters of the Pacific Ocean's Bay of Banderas, the natural lush beauty of the Sierra Madre Mountains, the Marietas islands and the Puerto Vallarta skyline, Casa Kalika oozes ultimate relaxation, contemplative vibes and simple yet elegant living. 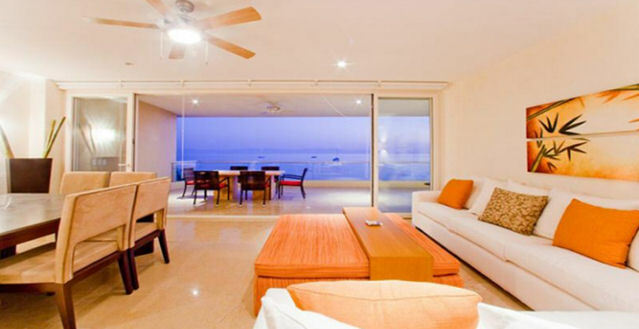 Welcome to Puerto Vallarta, Mexico’s Casa China Blanca, a new villa rental already known for its elegant modern design. Overlooking the Pacific’s beautiful Banderas Bay, it is the perfect setting for either intimate gatherings with family and friends, or memorable events, such as weddings and corporate retreats. Two of Mexico’s celebrated architects, Alfonso Lopez Baz and Javier Calleja, are introducing to Punta Mita the architecturally inspired oceanfront residences of Vientos del Mar. This magnificent luxury Villa located within the gated Punta Mita Residential Community in Lagos del Mar, Casa Terral offers an abundance of striking beauty and sophistication, architecturally, artistically and naturally. Enjoying a breathtaking beachfront setting within the acclaimed Punta Mita resort, Casa La Vida is sought for its location on the shores of the Bay of Banderas. As soon as you walk up to the home and see the simple but impressive water element in front of the house, you know you are about to enter a home owned by people with excellent taste. 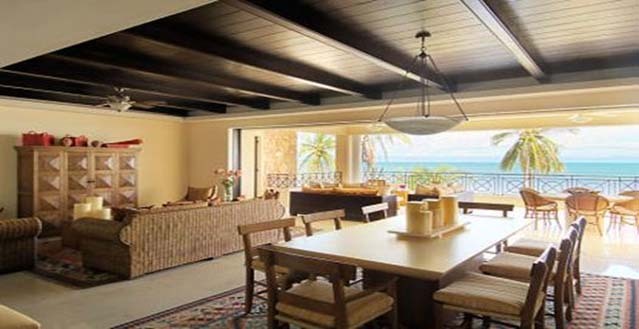 Casa Majani is beachfront and within the gated community of the Four Seasons Resort. Guests have access to two golf courses, tennis and fitness center and the Four Seasons. The Four Seasons is a 10-minute golf cart ride away. The St. Regis is a 5-minute walk; where guests have access to the Remede Spa and all of their restaurants. Villa Solaz is a home that is sophisticated and modern with all the creature comforts, yet closely integrated with nature. The scene is set upon entry, where an elegant water feature beckons you to follow. You wind your way through immaculate exotic gardens – the sound of water all around. 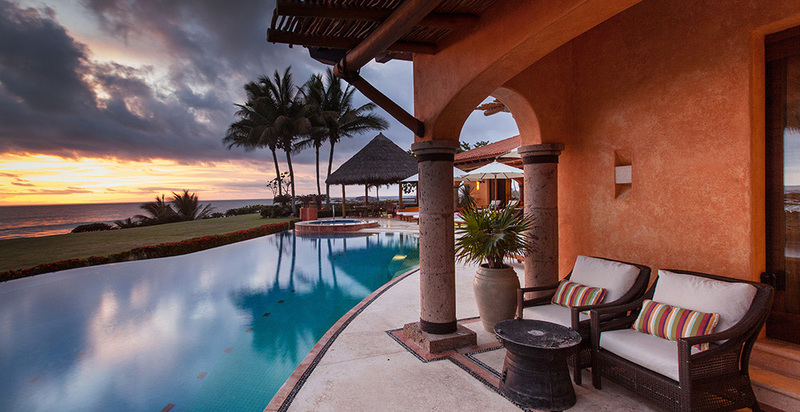 This dramatic 25,000 square foot Palapa-style home was designed by renowned Mexican architect Aldaco. Upon entering the compound you walk into a stunning open space living room with 180 degree ocean views. The residence is perched on a point with beaches to both sides and has the best views of any home in the entire area. From the very large palapa living room you step down to the deck, yard and infinity pool area where there are comfortable lounge chairs lined up overlooking the ocean and pool. Palmasola is located on the premier lot of the 3 Signature Estates located within the gates of Punta Mita Resort. Sharing a restricted access beach with the Four Seasons and right next to the world¹s only natural ocean island hole "The Tail of the Whale". The legendary Jack Nicklaus has designed two spectacular Jack Nicklaus Signature courses at Punta Mita. Crowning a dramatic cliff and providing uninterrupted ocean views in all directions, Casa Tres Soles is one of the most beautiful homes in Punta Mita. An extraordinary feeling of peace and serenity pervades the entire property, thanks to the masterful interweaving of both sophisticated elegance and ethnic informality. Prepare yourself for a spontaneous gasp of delight upon arrival to this spectacular beachfront villa crowned with an iconic Mexican palapa. Welcome to Punta Mita Celebrity Estate. Punta Mita Celebrity Estate is exclusively for those special guests with the most discriminating taste who expect nothing but the best. 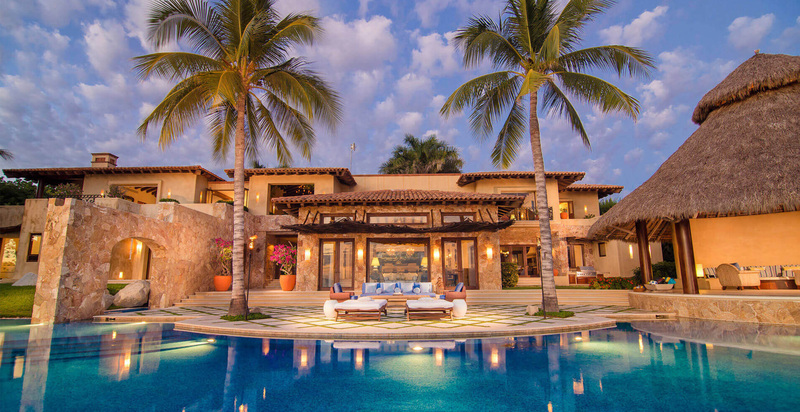 It is the only 5-star private residence in Punta Mita, Mexico.